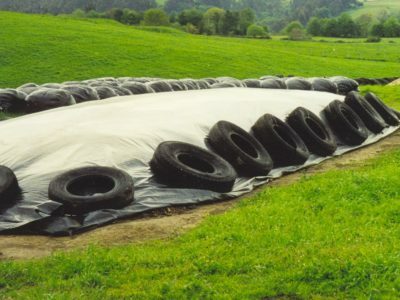 Black /White multilayer co-extrusion LDPE film manufactured in different thicknesses and designed to cover fodder and preserve it for winter feed. 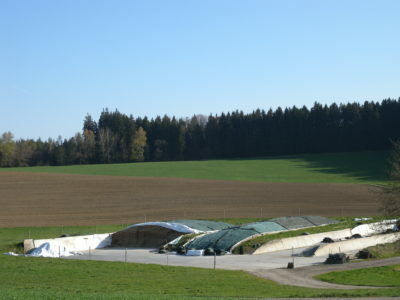 Black / White silage film offers the same advantages as Black but the white side uppermost, the sun rays are reflected, reducing strong increases in temperature. Equally, the black layer forms an infra-red barrier, again permitting a more balanced temperature. Temperature should always be at an optimum level, to ensure the development of lactic bacteria. 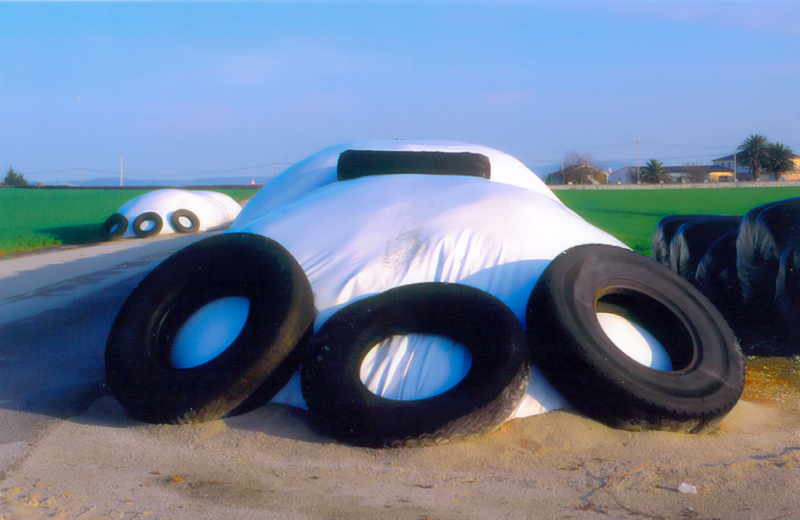 The white layer is placed outwards and reflects solar radiation avoiding excessive heating of the fodder. This avoids unwanted fermentations. The black layer is placed inwards and is in charge of providing an excellent opacity and works as a barrier to long I.R. radiation allowing to maintain a well-balanced internal temperature. Ecofilm Black / White could be Standard or Ecofilm Black / White Superstrong (reinforced range with virgin materials).